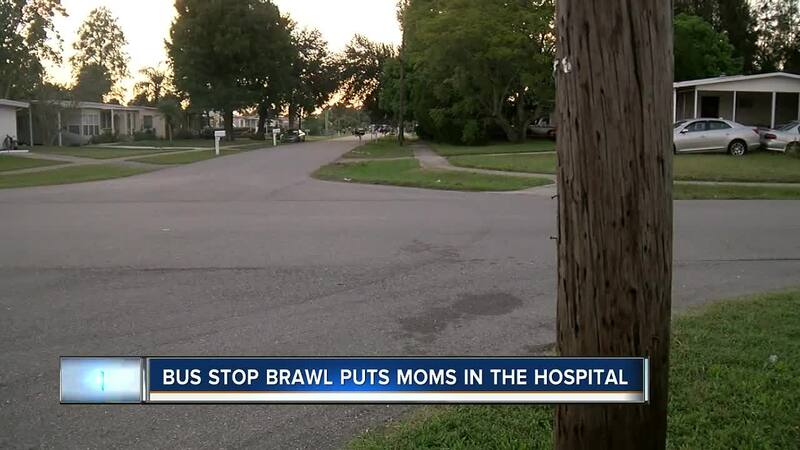 A brawl between two moms at a school bus stop landed both in the hospital. Both moms used a broken coffee mug as a weapon. Tuesday night, one of the moms spoke exclusively with ABC Action News. 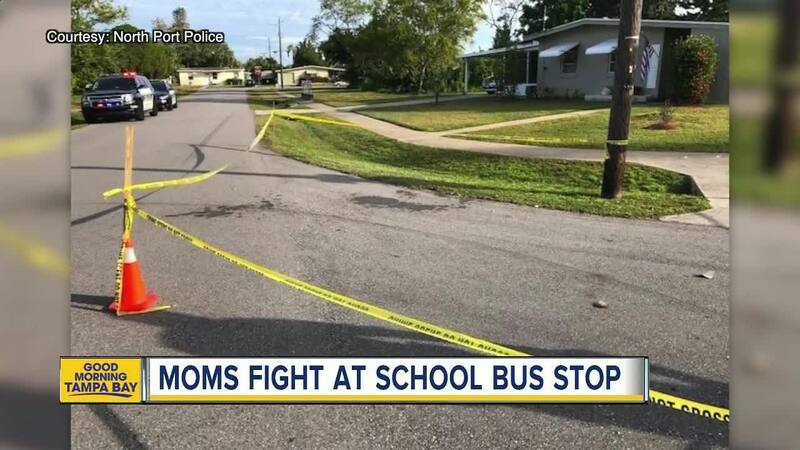 SARASOTA Co., Fla. — A brawl between two moms at a school bus stop landed both in the hospital. Both moms used a broken coffee mug as a weapon. Tuesday night, one of the moms spoke exclusively with ABC Action News. Tiffani Cruz just got out of the hospital. Cruz defends why she smashed a coffee mug over the head of another mom. “It was self-defense over an incident that made no sense," she said. While North Port Police say it started over an argument about parenting, Cruz claims they’ve had issues before. She says two weeks ago she confronted that mom for yelling at another child at the bus stop. But Tuesday morning, their verbal arguments went too far. “My heart was racing!” said Eithan Cruz, who is of no relation to Tiffani Cruz. The child and his brother, Bairon Velazquez, witnessed the fight from the back window of their school bus. “Her face was bleeding and stuff,” said Eithan. “I looked away," said Velazquez. Cruz admits she hit the other mom with her mug. Police have not identified the other woman. “I put my arm up like this and I went to run and that’s when she picked up the glass, ran at me and stabbed me twice in my arm, once at my wrist and in back of my shoulder," said Cruz. Pieces of the mug were then used as a weapon in a slashing manner, police say. Both parents ended up in the hospital but paramedics airlifted the other woman to the hospital with a serious cut to her throat. ABC Action News asked Cruz if she thought she went too far and why she called it self-defense. “Because she hit me. She got this close to my face nudged me with her nose and when she nudged me with her nose— it was her fist going up so my fist was going up," said Cruz. Sarasota County Schools is offering counselors after several dozen elementary-aged students witnessed the violent fight. “I regret the whole incident, there’s no reason it should have happened. We’re adults," said Cruz. Investigators say charges are pending. The Sarasota County Sheriff’s Office Victims Assistance Unit is available for any families looking for support. They can be reached at 941-861-4923. If anyone feels their child may need to make a statement after witnessing this incident, you can contact Detective Adam Taylor at 941-429-1586.